2 Bedroom Apartment To Rent in Burton-on-Trent for £625 per Calendar Month. A well presented two bedroom apartment located in the much sought after area of Rolleston on Dove. 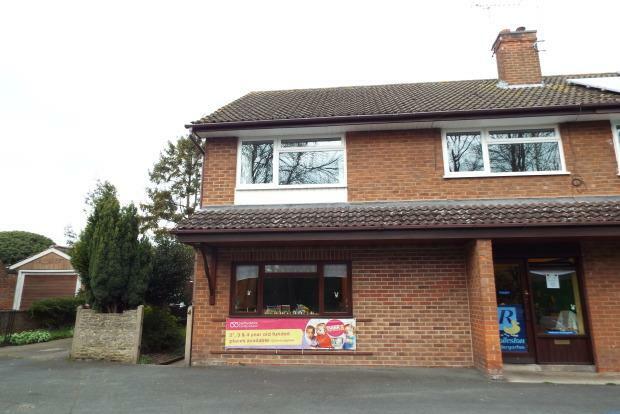 The property is situated above a nursery, within walking distance to the local post office, co-op convenience store and social club. The property has a private entrance with stairs leading up to the living area which is all on one floor. To the front of the property is the spacious lounge with large windows to the front providing a lot of natural light, off the hallways is the second bedroom, a small double. The kitchen has been recently refitted and tiled complete with fridge/freezer, built in cooker/hob and washing machine, the family bathroom is fitted with toilet, basin and bath with shower over the top. The larger main bedroom is to the front of the property, again with large windows. The property is laid with grey carpet throughout and neutrally decorated. Call Frank Innes on 01283 512661 to view!